Is a Flat Roof More Energy Efficient than a Pitched Roof? Flip through the pages of an architectural design magazine, and you’re bound to see flat-roofed homes by the dozens. Flat or low-sloped roofs may garner designer accolades due to their edgy, modern feel, but there’s a lesser-known reason they’re gaining popularity: according to some building professionals, they’re more energy efficient, too. 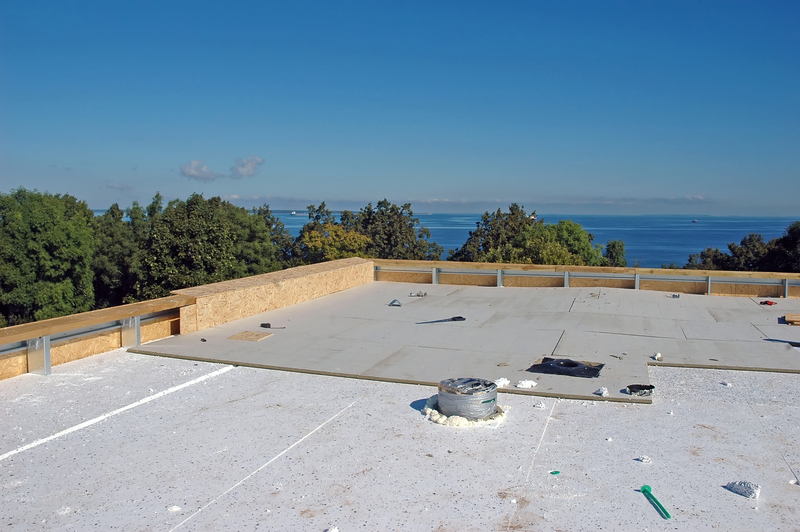 Flat roofs often get a bad rap for their tendency to leak—at least when poorly maintained. But when it comes to thermal performance, they usually beat older pitched roofs. The reason for the difference? Many flat or low-sloped roofs rely on innovative insulation methods and use new materials that lower overall heating and cooling demand. Here’s the full scoop on flat roofs and what makes them high energy performers. According to the Louisiana Department of Natural Resources Building Guide, flat or low-sloped roofs often demonstrate better energy efficiency because of differences in insulation. Generally, these roofs have a membrane system, which is applied on top of sheets of rigid insulation. Pitched roofs, on the other hand, commonly employ a cavity insulation system, where fiberglass batts—or loose insulation stuffed into insulation blankets—is pressed between the ceiling joists. Because that rigid insulation doesn’t have gaps in it like the cavity system, it’s a lot more efficient. It’s what building professionals refer to as “continuous” insulation—that means the roof has the same R-value at every point, so there are no breaks in coverage. Early efficiency pioneers were really excited by the idea of “cool roofs”: reflective or light-colored roof surfaces designed to direct heat away from building interiors by reflecting it back into the atmosphere. That, they reasoned, would prevent rooftops from absorbing and transferring excess heat back inside, which would save on a home’s cooling demand. The initial benefits of cool roofs seemed enormous—in studies, residents saved loads of energy they would have ordinarily used to cool hot interiors. And homeowners with flat or low-sloped roofs benefited the most. Since flat roofs are often designed as a membrane covered with a protective coating, they could easily be transformed into cool roofs. Although their protective coating is usually there to waterproof the roof surface, all manufacturers had to do was add a reflective material, and suddenly they had a cool roof coating. That kind of simple retrofit would be a lot harder in a typical pitched roof, since roofing coatings tend to chip and crack when they’re painted on traditional roofing materials, such as asphalt shingles. Unfortunately, there’s some evidence that a cool roof may not actually be the energy-saving miracle builders once imagined. A study coming out of Stanford, for instance, indicated that cool roofs actually raise the urban heat island index. Their predictive modeling showed that too many white or reflective surfaces actually speed up climate change by reducing cloud coverage, therefore causing drought conditions. So, while your flat roof might work better for a cool roof, the overall toll on the environment probably isn’t worth it. Still, adobe flat roofs have been used by Native Americans in the southwest for thousands of years, which speaks to their ability to handle a little sun. Because flat surfaces must be covered with a roofing membrane, they favor different materials than pitched roofs. And some of these materials perform very highly for thermal insulation—for instance, rubber roofing, known to roofing professionals as Ethylene Propylene Diene Monomer, or EPDM. EPDM is massively energy efficient. 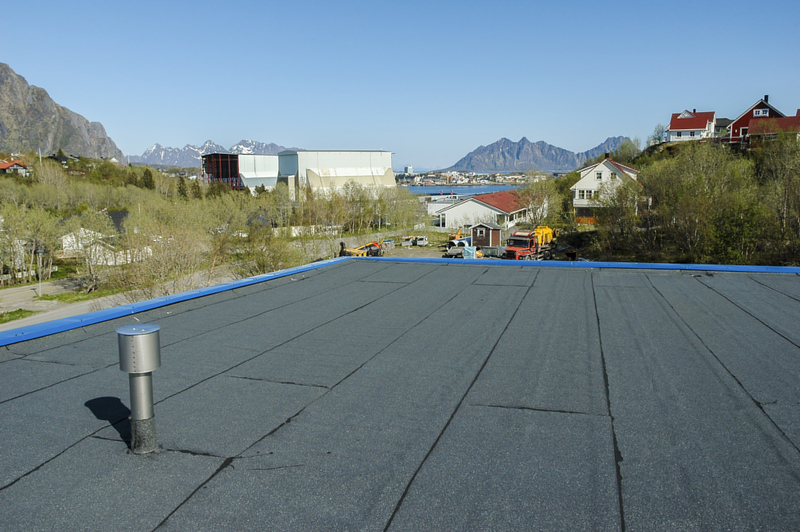 In studies, Oak Ridge National Laboratory found that ballasted EPDM roofs have similar energy savings to reflective cool roofs—that is, they can reduce roof surface temperatures by 30 to 40 percent. That lowered temperature limits heat transfer, making EPDM-surfaced roofs a potentially smart choice for homeowners in climates with high air conditioning demand. PVC, another fairly common flat roof material, is generally white or lighter-colored, and therefore has some of the efficiency properties (and issues) that come with any cool roof. Homeowners concerned about the environment can also cover their flat-roofed homes with Atactic Polypropylene (APP), a polyester byproduct recovered from manufacturers, thus recycling a waste material. Or the more daring among them even sometimes go with a green roof—a surface covered in live vegetation. Green roofs are said to be the best of both worlds, thermally speaking. Not only do they shade and cool roofs in the summer, they’re also fairly effective insulators for colder temperatures as well. Of course mother nature would come up with the best roofing system of all! Obviously, flat roofs aren’t for everyone. They require frequent maintenance to keep drainage systems working at peak performance—otherwise, they can leak and degrade. You’ll also need to have your roof replaced somewhat more frequently than you would if you had a steeply pitched roof. But if you’re looking for a modern style with great energy performance, a home with a low-sloped roof may just be the way to go! What Roof Types Are Best For A Hot Climate?